(PARCEL C=9.33 +/- ACRES)Beautiful Totally Wooded Acreage with Rolling Hills. Located 25 Minutes N of downtown Grand Rapids. Perfect for a Private Home Setting and Hunting. There are a few Possible Sites for your Dream Home! Parcel A is 8.66 +/- Acres. 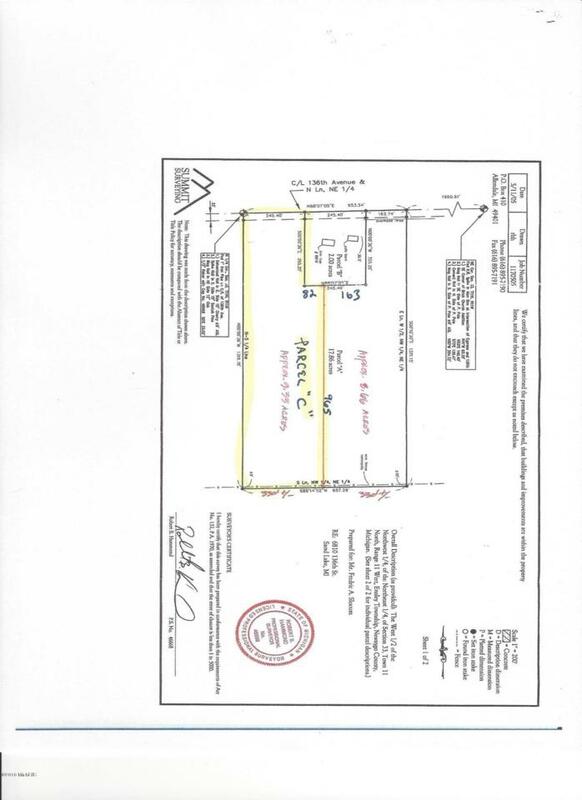 Parcel C is 9.33 +/- Acres. Currently it is one Parcel of 17.86 Acres. If sold separately, property is subject to the completion of the split. Listing provided courtesy of Michael T Friar of Anchor Realty Llc. © 2019 MichRIC, LLC. All rights reserved. Information deemed reliable but not guaranteed.